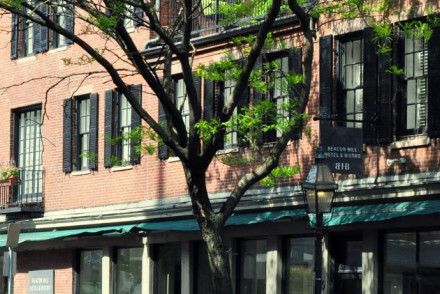 It’s where America started, so we reckon it’s where you should start when begin your travel adventures in the US of A. Here’s our choice of the best places to stay in Massachusetts - this New England statewhere old world hospitality is second nature. By American standards, this is as old as it gets: the first European settlement was founded by the Pilgrim Fathers at Plymouth in 1620. That momentous arrival set a pattern of national leadership that endures to this day. First a farming, fishing and whaling centre, then the original American industrial heartland. The state’s inspirational reinvention in the late 20th Century as a high-tech and artistic powerhouse even has a name “The Massachusetts Miracle”, a blueprint for rustbelt-reinvention throughout the world. Now there is more IT brain power - not to mention investors’ cash - in the Greater Boston area than in some major European nations. More important to visitors, there is so much history crammed into its 10,000-plus square miles (tiny by US standards) that the visitor can’t help encountering it at every turn. Emily Dickinson fans should head to Amherst. Lennox is where to stay for the Tanglewood Music Festival and Stockbridge is the quintessential New England town as portrayed by Norman Rockwell. North Adams is the smallest city in Massachusetts, but boasts the largest art gallery. Concord is famous for literary greats and for being the place where the American Revolution began. 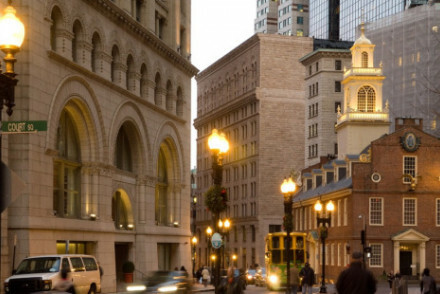 The Commonwealth of Massachusetts is justifiably proud of a full-colour palette of attractions and experiences and its hotel offering reflects the patina of class and character that gives Mass. its mass appeal. Walk along The Freedom Trail in Boston taking in some of the states most important historical sights. Head to Cape Cod to enjoy the large swathes of white sand beaches. 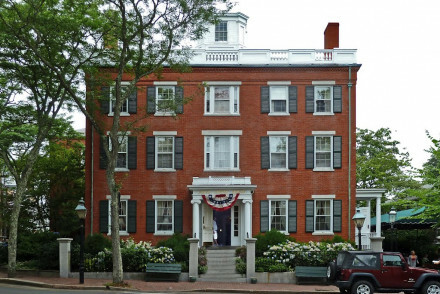 Visit Salem to view the historical houses there. Make a stop at Plimoth Plantation, a museum that depicts the lives of Colonial Americans. Spot whales at The Stellwagen Bank National Marine Park. Catch a world class music performance at Tanglewood. 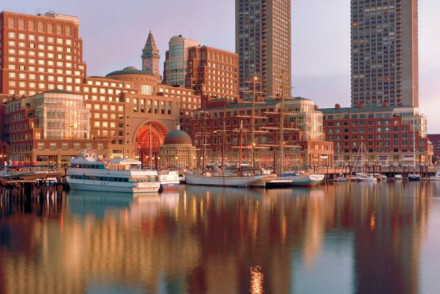 The best places to stay in Massachusetts are scattered from the great port city of Boston, to the academic groves of Cambridge, to the rolling hills of the Berkshires, to the witch-haunted town of Salem, to the nature trails of the state’s colourfully-wooded rural western hinterland and the fabled beaches of Cape Cod and Nantucket and the elite playground of Martha’s Vineyard. 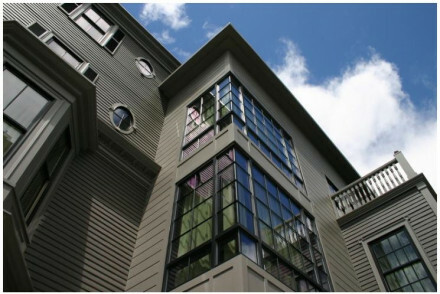 The island of Martha’s Vineyard has long been a byword for low-key recreational networking amongst America’s business and political elite, and Hob Knob, a 19th Century gothic revival townhouse, lives up to its name as THE place to rub shoulders with the great, the good and the simply rich. With 17 rooms and individual “houses” on offer, it’s discreet, upmarket and steeped in the authentic Vineyard vibe. 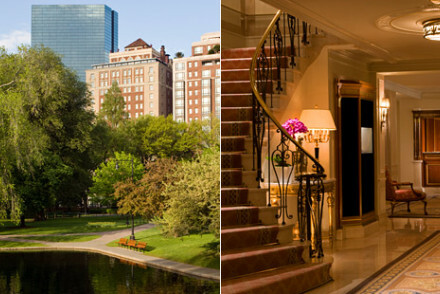 Four Seasons, Boston enjoys a lovely spot facing Boston’s Public Gardens (an extension of the better-known Boston Common). 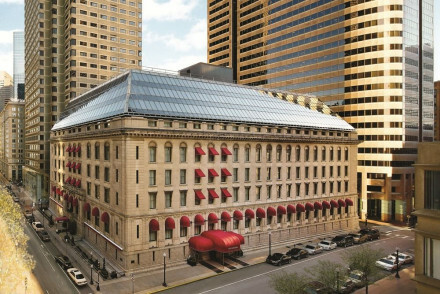 The state capital’s version of this great global brand may lack the architectural grandeur that you might expect from its location, but inside it is sheer New England-styled luxury and opulence. Everything about it screams prestige, as well as luxury. 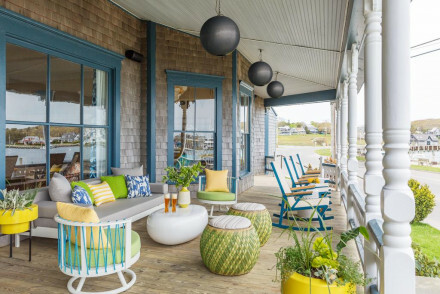 Chatham Bars Inn on Cape Cod offers beachside elegance in another of America’s most classy and subtly stylish holiday destinations. A top wedding destination for the well-heeled, it’s also a spa and home to the uber-elegant STARS fine dining restaurant. 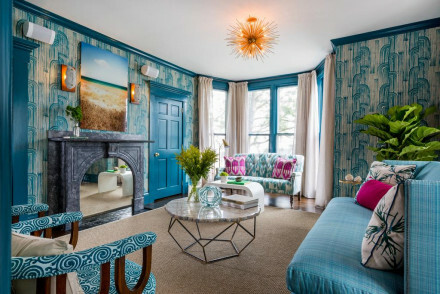 Platinum Pebble Inn offers simple, chic interiors just minutes from Belmont Road Beach on Cape Cod. With only over 16s allowed, it's perfect for some adult "me time". 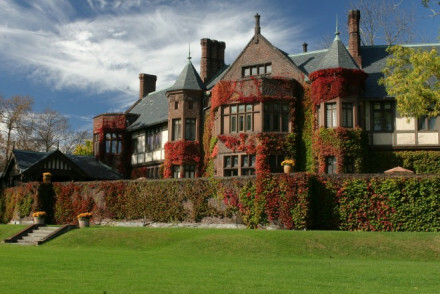 Blantyre offers the quintessential country house escape in beautiful Berkshires country. Think roaring fires, four poster beds and antiques galore. Food is American with a French twist and there's a spoiling spa with sauna, hot tub and treatments for all. 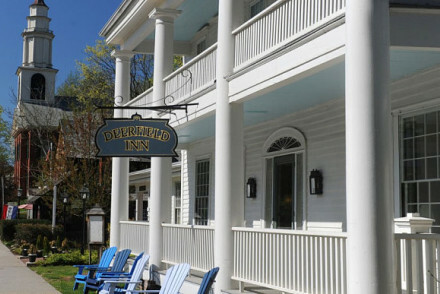 Lord Jeffrey Inn, is a stately, distinctively New England edifice on the common in the West Mass. college town of Amherst. An elegant welcoming landmark in the small town only six minutes walk from the museum dedicated to the town’s most famous individual, the 19th Century poet Emily Dickinson. 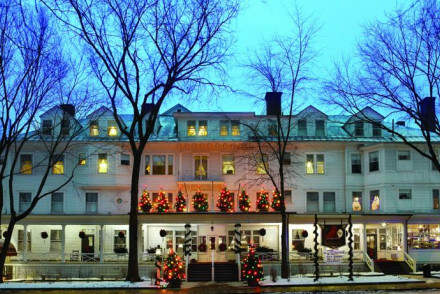 The Red Lion Inn is the best known hotel in Stockbridge, an attractive town in the Berkshires, the highland region straddling Massachusetts and Connecticut that is known as a cultural mecca. With attractions like the Norman Rockwell Museum, the Boston University Tanglewood Institute and various theatre festivals. As well as traditional inn accommodation full of antiques and individual touches, The Red Lion also offers a range of suites, each with their own unique character and charm. Another prime spot for culture vultures feasting on the artistic offerings of the Berkshires, the Porches Inn in North Adams is the product of the local renaissance of this former industrial heartland by the power of culture, in this case the Massachussets MoCA (Museum of Contemporary Art) - an array of galleries and performance spaces occupying a former mill building. 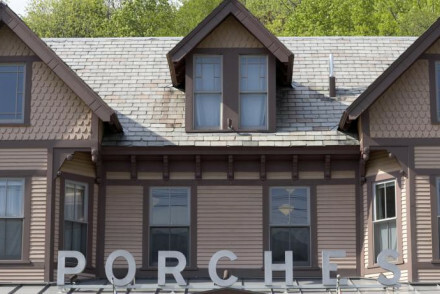 Porches has 47 retro-edgy “industrial granny chic” rooms, and great service. Very trendy, but also welcoming. 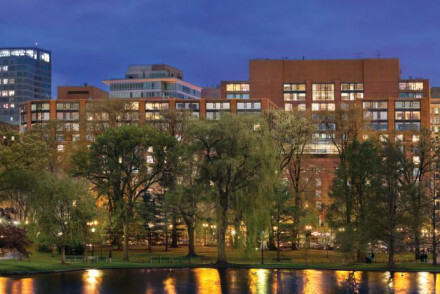 The Charles Hotel, Cambridge is an excellent property between Harvard Square and the scenic Charles River. 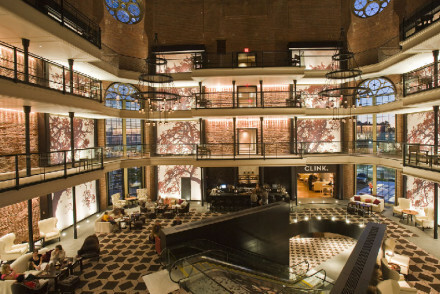 It offers regular kid-friendly packages with milk and cookies thrown in and free tickets to local attractions like the Harvard Museum of Natural Museum. 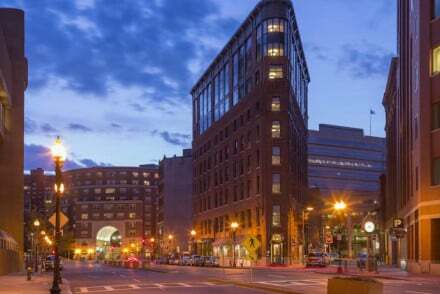 Easy access by subway to downtown Boston and the nearby university may inspire your kids to aspire to academic greatness. 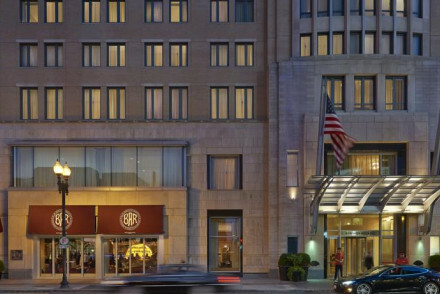 Kids are welcome and well catered-for in the Boston Harbor Hotel, a large and upmarket harbourside property with spectacular views over the (now gentrified) former docks and out into the Atlantic. Great swimming pool and a short trip to see everything that Boston has to offer. 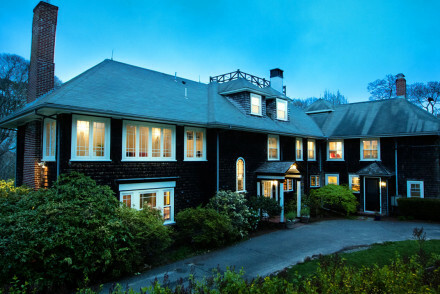 The Lord Jeffery Inn is a 1926 classic New England home away from home among maple trees and Amherst College. Antique furnishing, fine linens and modern bathrooms make up the unique rooms. 30 Boltwood offers American cuisine with fresh, locally sourced ingredients. 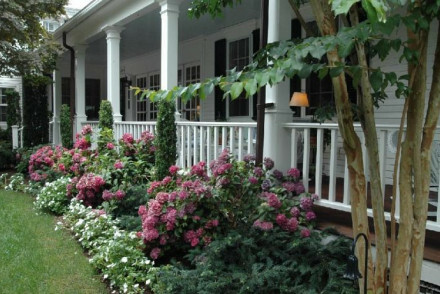 Hob Knob is a 19th Century home turned boutique hotel with manicured garden, sit out porch and classic interiors. Rooms house big beds, bright bathrooms and delicious breakfast in the dining room. In-house spa, gym and sauna are for all to relax in wine country. 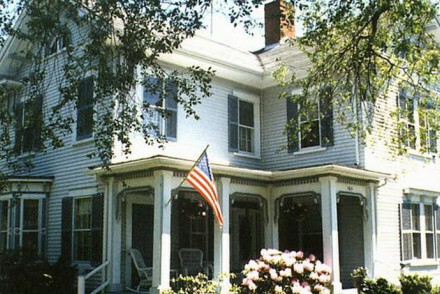 Regatta Inn is a sophisticated bed and breakfast in a gorgeous Federal-style house with comfortable bedrooms and a nautical feel. 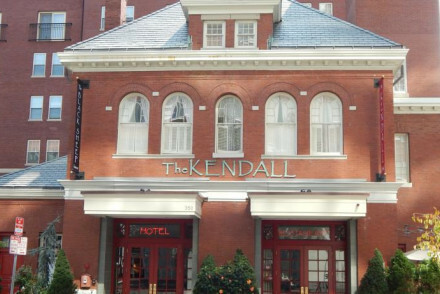 The Kendall Hotel is a welcoming and cheerful hotel with lots of character, located in an old 19th-century brick fire station. Bright and colourful Chapman House is located in Nantucket, minutes from the pristine beaches and historic harbour. The intimate rooms are chic and modern, decorated with maritime furnishings and all featuring an iPad. The Porches Inn is a contemporary boutique in former mill town offers outdoor pool, intimate B&B and a buzzy bar. Lambert's Cove Inn, Farm and Restaurant is a large farmhouse resting in manicured lawns with heated pool, all weather tennis court and spa. 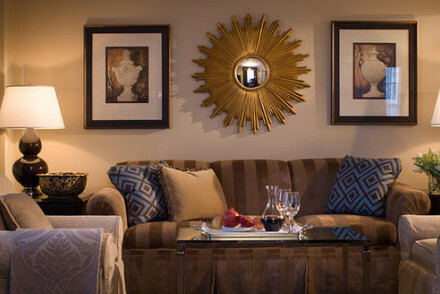 Rooms are different but collectively comfortable, similar to that of an English country house. 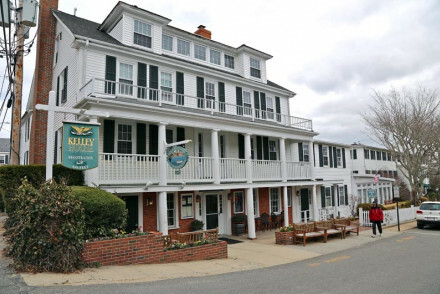 The Platinum Pebble Inn is a historic 1850s inn minutes from the beautiful Belmont Road Beach on Cape Cod. 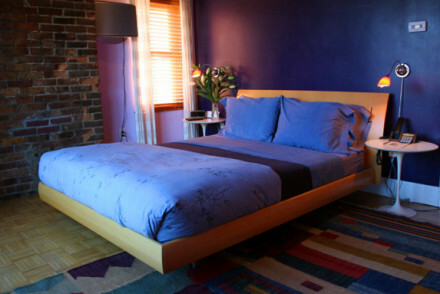 The rooms are simple and modern, with chic leather furnishings and bold colours. 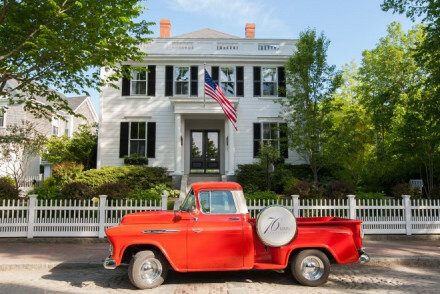 76 Main is an intimate 1800s house on the Main Street of Nantucket with modern interiors and just minutes from the beach. The chic rooms are crisp and colourful with bold fabrics and wallpaper. 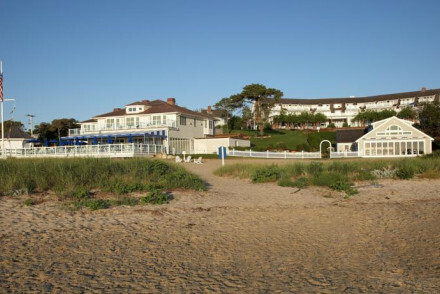 Luxurious seaside hotel, Chatham Bars Inn, has an elegant nautical feel offering ocean view suites, contemporary bedrooms and private beach front cottages. Ashley Manor is a charming 18th century inn sitting on two acres of parkland ground with a spacious patio, gazebo and tennis court. The house still has many original features such as New England shuttered windows, wooden flooring and even a secret passageway! 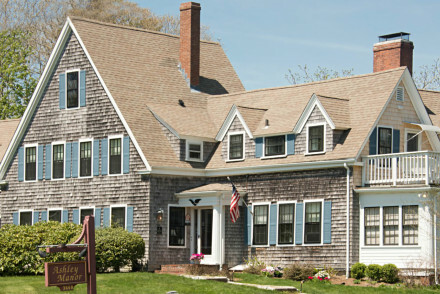 Sea Meadow Inn is a beautifully restored 1780 Sea Captains home minutes from Paine's Creek Beach. Rooms follow a cosy white on white style, with a nautical twist. 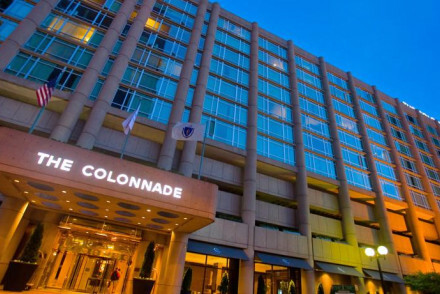 The Colonnade is a centrally located, contemporary downtown hotel with a gym, rooftop pool and bar. Bedrooms are stylish with floor to ceiling windows and city views. 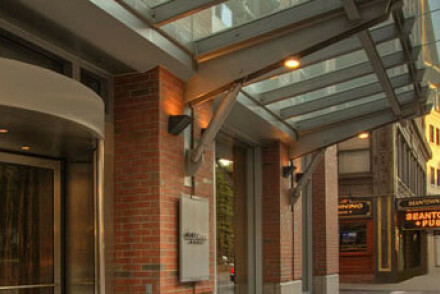 Stylish, clean and contemporary Chandler Studios is located in hip South End. A true departure from the traditional Boston hotel experience, featuring state of the art 'virtual check in'. Bright, spacious rooms with wooden floors are decorated in a modern aesthetic and include fully equipped kitchenettes. 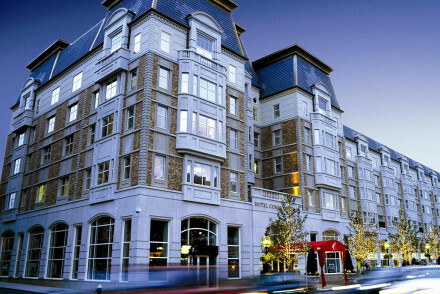 Soak up the atmosphere of vibrant Kenmore Square and enjoy excellent hospitality in stylish Hotel Commonwealth. 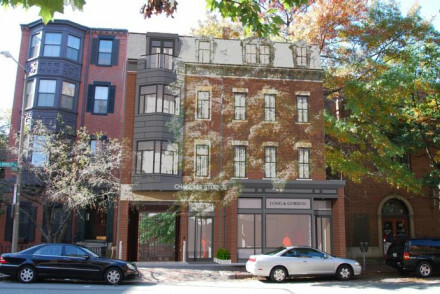 A new wing of spacious rooms and terrace overlook Fenway Park, home of the Red Sox. 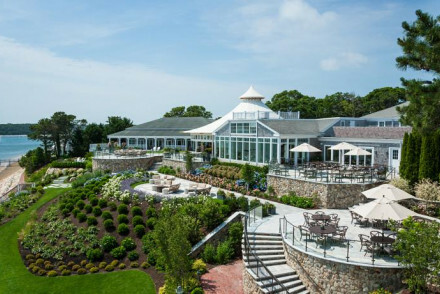 Try the New England oyster bar, sip an award-winning cocktail, or dine in the hugely popular restaurant. The easiest way to get into Eastern Massachusetts is through Logan International Airport in Boston. The easiest way to get into Western Massachusetts is through Bradley International Airport in Windsor Locks, Connecticut. Regional airports include Worcester, Manchester, Providence, Chicopee (Springfield), and Albany. Massachusetts is a a year round destination with four distinct seasons. Summer's are hot and winter's very cold and snowy. 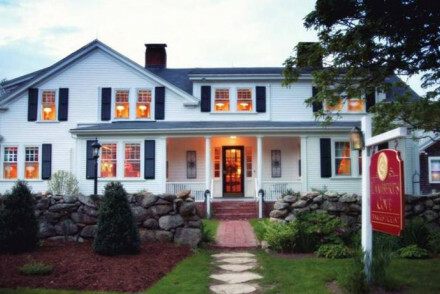 Browse through our list of all the best places to stay in Massachesetts. Widen your search to include all our recommendations in neighbouring Connecticut. Or call or email one of our gurus for personally-tailored advice. Inn set in history, architecture and literature. Light, modern rooms with newspapers and coffee machine. Enjoy the New England cuisine at the restaurant and bar. 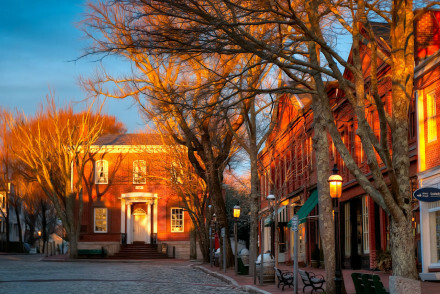 Concord known for its pivotal role in American Independence ensures a great stay for history buffs. Great weekend break for activities. 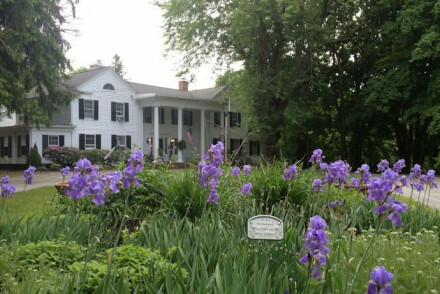 Sights nearby - Spend an afternoon looking around Concord's historic homes - The Wayside, The Manse and more. Kayaking - Walden Pond for boating and kayaking. 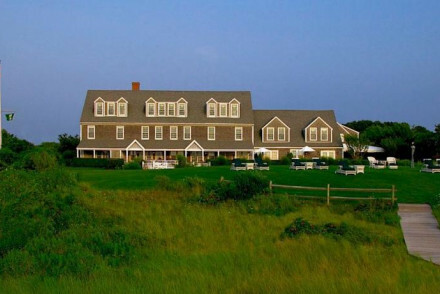 Bright and colourful hotel in Nantucket, minutes from the pristine beaches and historic harbour. The intimate rooms are chic and modern, decorated with maritime furnishings and all featuring an iPad. 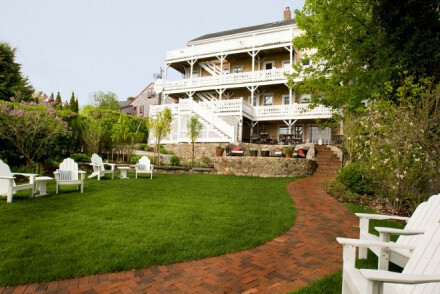 Set on a quaint cobblestone lane, this quiet hotel also has a lovely patio on which to relax. Contemporary boutique in former mill town offers outdoor pool, intimate B&B and a buzzy bar. Vibrant colours make up the contemporary rooms with fireplaces and private sitting rooms. Restaurants are nearby, as is the local history and Massachusetts Museum of Contemporary Art. A fabulous getaway. Sights nearby - Western Gateway Heritage State Park. Great walks - A stroll around Windsor Lake Park. Kayaking - Explore the rich wildlife on Island Spirit Kayaks; or the calm North shore waters, sandy public beaches and inland harbors. Sailing - With Atlantic Yachting you can charter a private boat, take a sailing lesson or just sit back a relax. 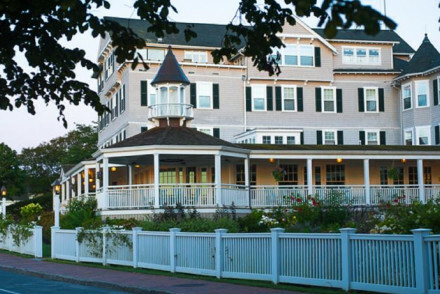 This 1891 coastal hotel has over 100,000 cedar trees, an outdoor pool and views of Edgartown Harbour. Light comfortable rooms with modern bathrooms and vineyard views. The Lighthouse Grill focuses on fish and steak, whereas the North 41 is poolside. Head to Henry's Hotel Bar for cocktails and tapas. Sights nearby - Five lighthouses in Martha’s Vineyard are the most diverse in a small, contained area in the country. Birdwatching - Over 300 species of birds are known to commonly inhabit and frequent Martha’s Vineyard. 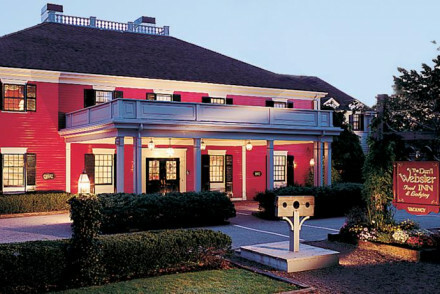 An elegant, Colonial style inn in the heart of Cape Cod. The most luxurious suites come complete with antique fourposter beds, whirlpool baths, and fireplaces. The in house spa assures you will leave relaxed and recharged. Sights nearby - Nearby are the 1834 Town Hall and the Hoxie House, a museum house showing what family life was like in the 1600s. Kayaking - Kayak the meandering salt marshes just outside of Sandwich. Great walks - Hike to the top of the ridge in Maple Swamp. 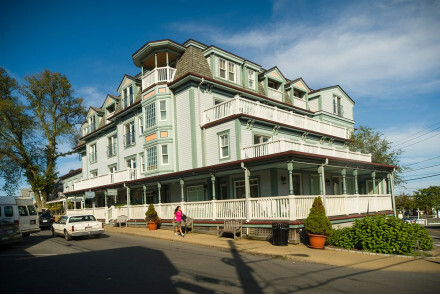 In an archetypal, quaint colonial town, on the charming tree-lined main street surrounded by gorgeous 18th and 19th century homes, sits this delightful inn. You are housed in the main building or the carriage house in cosy, yet elegant rooms. The restaurant serves only locally sourced fresh dishes. 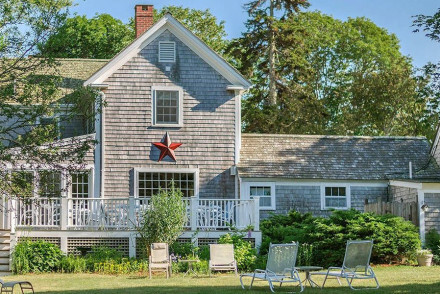 Classic 1742 New England captains home turned boutique with garden, pool and ocean views. Light, modern rooms with coffee machines and noteworthy fluffy bathrobes. The Newes is a mix of American and British cuisine with a full bar. Perfect location of sea based activities or a romantic break away. Sights nearby - Head down to the beach and spend a day by the sea whilst catching a glimpse of Edgartown Lighthouse. Hideaway - A quiet spot. 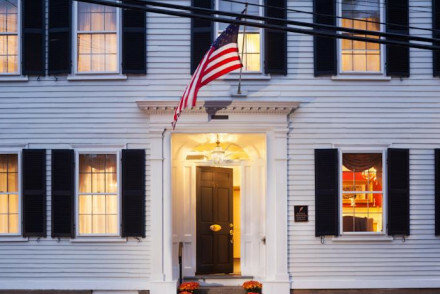 1773 boutique welcomes guests with fireplace, grand piano and New England hospitality. 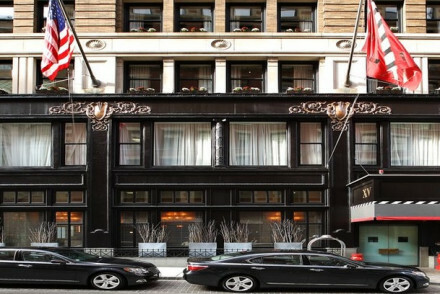 Hop in the birdcage lift and enter old-world charm rooms with antique furnishings, large beds and modern bathrooms. 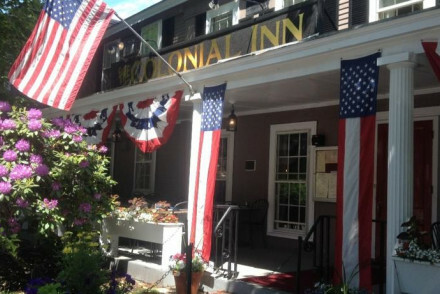 Widow Bingham's Tavern and Lion's Den Pub both serve American dishes. A great countryside break. 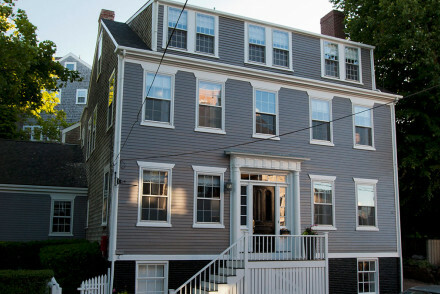 Intimate 1800s house on the Main Street of Nantucket with modern interiors and just minutes from the beach. The chic rooms are crisp and colourful with bold fabrics and wallpaper. The central courtyard featuring a firepit is perfect for relaxation after a day exploring the town and its activities. Sights nearby - The Pilgrim Monument is 5 minute walk away from the Inn. 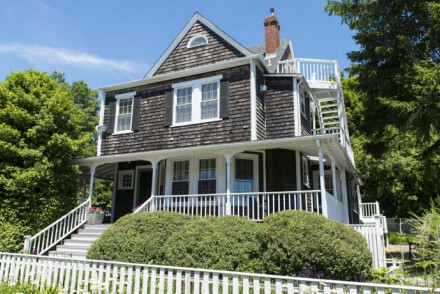 Quaint colonial style cottage, in the quintessential New England seaside town of Nantucket. Exposed wood beams, fourposter beds, warm tones and soft sheets make for a snug and serene setting. The small island is navigable by bike or foot, excellent for exploring! A charming and homely Inn. Great walks - Take a walk through the Sanford Farm Wildlife preserve down to the ocean. Sailing - Ask at the front desk about chartering a fishing or sailing trip. 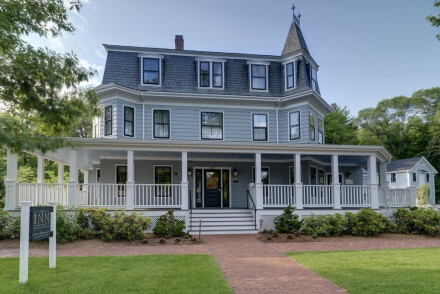 An old Methodist summer camp, turned funky upscale boutique hotel in Oak Bluffs. The interiors have been carefully selected to invoke feelings of nostalgia for camp days of your childhood, while maintaining a level of elegance and style that places you right back in the present day. Characterful. 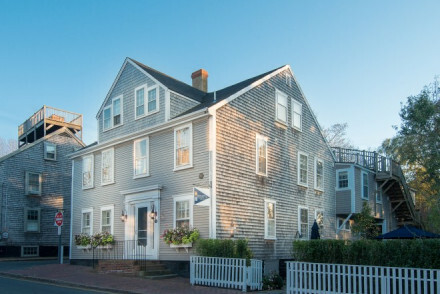 A playfully renovated Victorian hotel in the lively Broad Street neighbourhood of Nantucket. Vibrant interiors have been carefully put together as a nod at the town's nautical history while remaining firmly in the comforts and luxuries of the modern age. Whimsical and good natured, this is a winner! This charming 18th century inn sits on two acres of parkland ground with a spacious patio, gazebo, and tennis court. The house still has many original features, such as New England shuttered windows, wooden flooring and even a secret passageway! Antique furnishings add to old world charm. Great walks - Enjoy the National Seashore with its twenty miles of beach and nature trails. Fishing - Barnstable Harbor is the home port of a large fishing fleet. 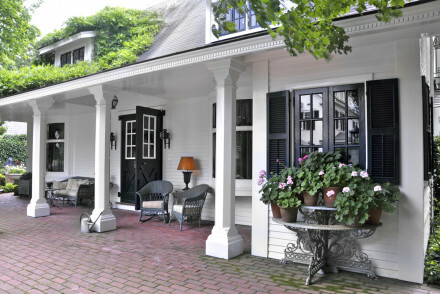 A chic owner managed B&B in the lovely Martha's Vineyard. With seven elegantly styled rooms, all offering en suites, parquet floors and light natural tones. The breakfast is utterly delicious and can be served in bed or in the sunny dinning room. With extensive gardens and the village nearby. 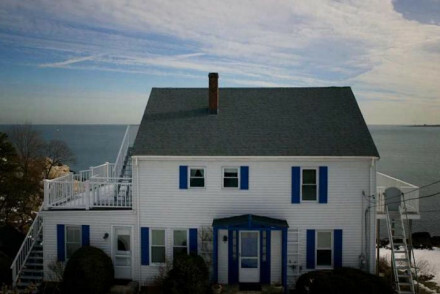 A beautifully restored 1780 Sea Captains home, minutes from Paine's Creek Beach. Rooms follow a cosy white on white style, with a nautical twist. Yummy home cooked breakfast is served in the quaint dining room or sit out terrace overlooking the gardens. Homely, warm and effortlessly elegant. Great walks - Wellfleet Bay Wildlife Sanctuary , extensive trails bring you to panoramic salt marsh, sandy barrier beach, and pine woodlands. Fishing - Charter a fishing trip with Cape Cod Fishing Charters, Triton Sportfishing or Rock Harbor Charters. Sailing - Charter a magical sailing trip with Chatham Classic Yacht Charters. 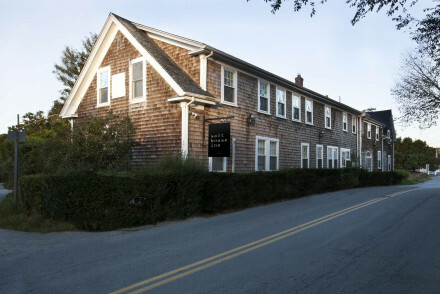 The Salt House Inn, in quaint Cape Cod, boasts New England exteriors with crisp, whitewashed minimalist interiors. Large and light rooms feature fine linens, private bathrooms and superb complimentary breakfasts. Wander along the coast at sunset and take in the gorgeous views! A chic beach stay. Beach Life - With the crisp clean seaside chic rooms and the beach just a short distance away, it's the perfect coastal getaway. Value chic - Superb accommodation and a wonderful location at a great price-what more could you ask for? 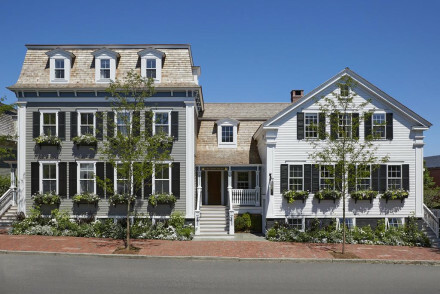 A sea captain's home turned luxury boutique right in the centre of Nantucket. A treasure trove of antique furniture, Portuguese tiles and a variety of objet d'art that a whaler would have gathered on his travels. The excellent restaurant is the talk of the town and the cocktails are fabulous. 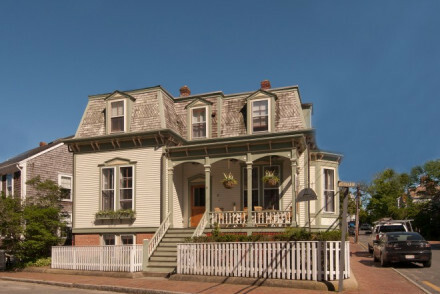 A tasteful Victorian B&B in the historic beach-side town of Sandwich. Original antique furnishing, curved wooden staircases, and 11 foot ceilings. Each spacious and elegant suite comes with an en suite and some have private balconies with sea views. Vintage feel with contemporary comforts. Sights nearby - The Sandwich Glass Museum, Thornton Burgess Museum and Heritage Museums and Gardens are all nearby. Great walks - East Sandwich, Sandy Neck Beach and Scusset Beach are all within the town limits. 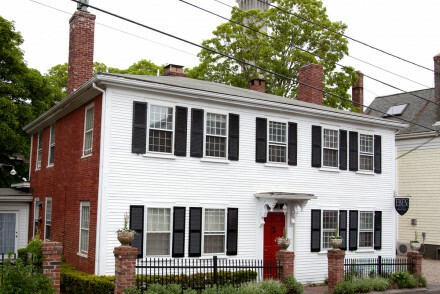 Elegant 18th-century mansion located in the heart of the historic Marblehead town center. Exposed wooden beams, antique furnishings, original raise panel windows and crackling fires transport you back to another time. The ultimate luxurious experience. 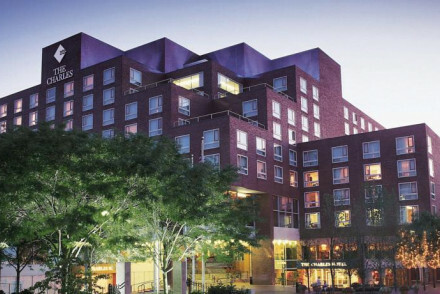 Sights nearby - Both Peabody Essex Museum and Salem Witch Museum are only 7.5 km away. Sailing - Charter a sailing boat with Flagship Adventures and Atlantic Charter. With a quiet Atlantic setting and private beach, spa and boat this is a fantastic hotel. Rooms are all country-style decor, pinewood furnishing, Egyptian cotton and modern bathtubs. Founded on the success of TOPPER's, which offers locally inspired dishes and a lively bar. Water activities galore! Local markets - Shuttle to Nantucket town is readily avaliable. Fishing - Fishing and lobstering both can be arranged. 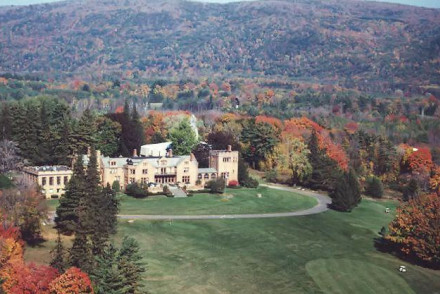 Tudor-style mansion rests in 380 acres of the Berkshires offering exquisite service, activities and business and fitness facilities. Large classic rooms have balconies. 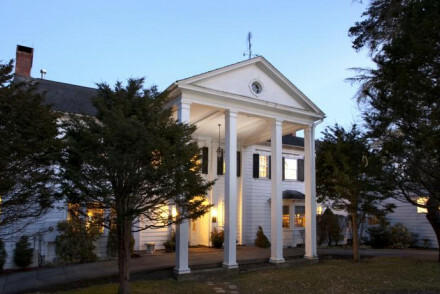 Sloane’s Tavern is a casual eatery, Mansion Dining offers stunning mountain views. Much to do for all, or relax at the spa or pool. New-England red brick townhouse on an idyllic cobbled street off Main Street with a private garden. Beautiful four-poster beds and ornate rugs make up the classic style bedrooms. 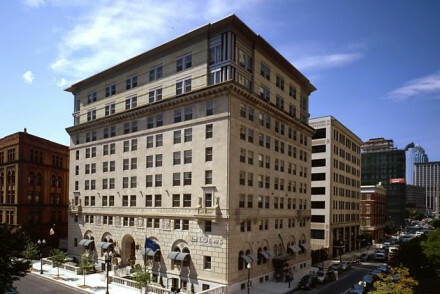 Restaurants, boutique shops and beaches are within walking distance. Relax in the homely library or explore the sea town. Great walks - A fantastic place to explore by foot. This historic B&B will transport you to another era, where High Tea is served at four o'clock and your every need is taken care of. The decor is an eclectic mix of antique furnishings, opulent wallpapers, four poster beds, and contemporary comforts. The perfect romantic escape! Great walks - Visit Monomoy National Wildlife Refuge- 7,604 acres with varied habitats of oceans, salt and freshwater marshes. Sailing - Chatham Classic Yacht Charters will take you for a sea journey aboard one of their restored old world schooners. Fishing - Rockin' Robin fishing charters offers fishing charters, sunset cruises and sightseeing tours on Cape Cod Bay. Swimming Pool - Outdoor seasonal swimming pool. 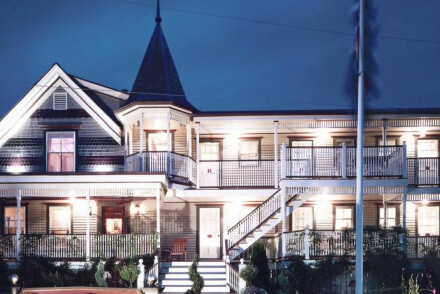 This historic B&B consists of three unique buildings, each with their own charms and eccentricities. Rooms range from a converted church, complete with dazzling stain glass windows and vaulted ceilings to classic 'Cape Cod Cottage' style with clean lines and crisp white linens. Eclectic and elegant! Sights nearby - Historic Town Hall Square, the oldest part of the Village, features 50 buildings dating from the 17th through the 19th century. Kayaking - Kayak the meandering salt marshes or hike to the top of the ridge in Maple Swamp. Great walks - Sandwich has miles of coastal marsh providing hiking experiences like no other. Sailing - Cape Cod Bay is ideal for sailing and rafting. Built at the end of America’s 'Gilded Age', the Inn is a Select Registry property and the decor is in keeping with this period. Think antique furnishings and bedroom fireplaces. Enjoy the outdoor heated pool and beautiful gardens while lying in a hammock. Ultimate pampering and relaxation! Great walks - Great walking and hiking at Pleasant Valley Wildlife Sanctuary and Berkshire Scenic Treks & Canoe Tours. Swimming Pool - Outdoor, heated pool- seasonal. 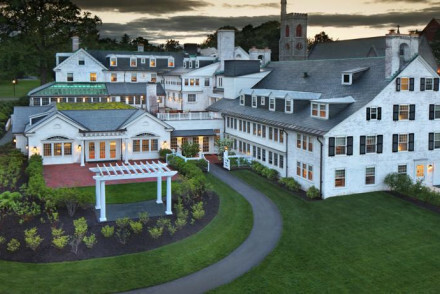 Grand hotel set in a sprawling 220-acre estate just outside Lenox, Massachusetts. The ivy-clad, castle-like building features traditional rooms with four-poster beds, chandeliers, antiques and floral fabrics. The dining room is magnificent, the spa luxurious, and plenty of activities are on offer. 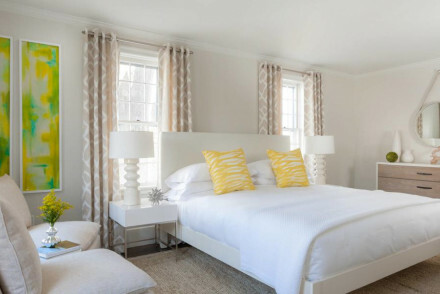 Eben House, in coastal Provincetown offers chic boutique accommodation- think light hues and minimalist interiors. Wake up each morning to a superb rustic breakfast crafted from local produce! Come back after a day of sightseeing and lounge by the pool with a glass of wine. A divine getaway. Prime harbour location offers sea views, nautical themed interiors and light, modern rooms with wooden furnishings and private balconies. Brant Point Grill offers steak, seafood and stunning views - locally renowned. Spa treatments, complimentary afternoon sherry and sailing make up a perfect day. Sights nearby - Main Street looks like a film set but is a reali life quaint town high street. Sailing - Is much of the daily routine for locals and guests are always welcome. 1926 classic New England home away from home among maple trees and Amherst College. Antique furnishing, fine linens and modern bathrooms make up the unique rooms. 30 Boltwood offers American cuisine with fresh, locally sourced ingredients. Perfect spot for a weekend break or a history buffs dream. 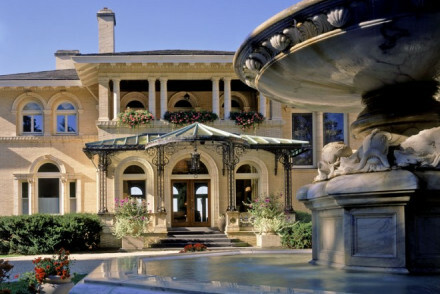 19th Century home turned boutique hotel with manicured garden, sit out porch and classic interiors. Rooms house big beds, bright bathrooms and delicious breakfast in the dining room. In-house spa, gym and sauna are for all to relax in wine country. Check out the The Hob Knob 27' Boston Whaler boat. Fishing - Aboard the in-house The Hob Knob 27' Boston Whaler organise a fishing trip with the captain. 18th Century colonial house sitting on 20 acres of Atlantic coastline. Light and luxurious rooms rest in a manicured garden with golf course, pools and tennis court. Award winning Twenty-Eight Atlantic offers locally sourced ingredients and changing menu, Thoreau's tavern in style and Libaytion bar. Sailing - Leisure or learning - hop aboard a sailing boat and soak up Pleasant Bay. Great walks - Along the private beach and Pleasant Bay. A classic, Georgian-style House, set on 12 acres of beautiful gardens. Antique furnishing, elegant drapes and warm colours lend a romantic air to the suites. On-site restaurant uses produce fresh from the kitchen garden. Unwind in style. Great walks - Beautiful walks in the neary Berkshire Botanical Gardens. Sights nearby - Norman Rockwell Museum . 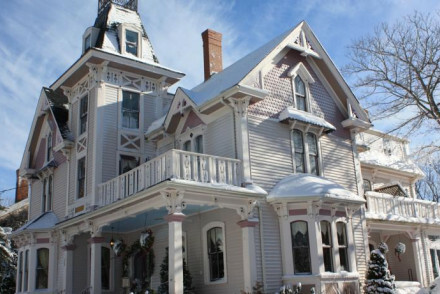 A charming Victorian era mansion turned upscale B&B by the famed Lark group. The vibrant and thoughtfully curated interiors are a welcome breath of fresh air in Edgartown. Serving a hearty breakfast, as well as evening snacks in the courtyard, guests are made to feel welcome and looked after. 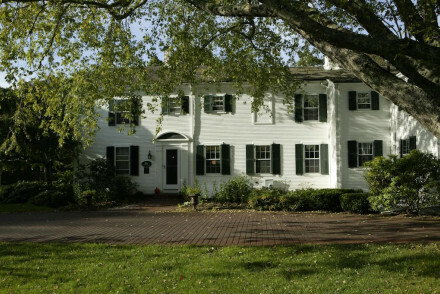 An all-American property in the historical town of Lexington. Charmingly decorated throughout with fireplaces, antique furniture, feather-down quilts and traditional artworks. Boasting a popular restaurant worthy of a visit alone and just steps from many-a-historical sight. Local exploring - Find numerous attractions nearby and enjoy an authentic all American experience at the property. Sights nearby - Walking distance from the Lexington Battle Green where the American Revolutionary War began. Great walks - Find miles of hiking trails in the surrounding countryside. A pretty B&B right on the coast of Rockport, Massachusetts. The hotel commands uninterrupted views of the bay and is peppered with places where you can sit and soak up the view. The rooms are quaint and cosy with large windows and seating areas facing the sea. An ideal ocean side hideaway. Sailing - Charter a boat and sail the beautiful coast with Classic Sailing Yacht Charters. Fishing - Enjoy deepsea fishing with Amanda Marie Fishing Charters. Diving - Head out on a diving expedition with Cape Ann Divers. British style 1864 house turned romantic boutique, with manicured gardens and antiques. The perfect place to unplug and unwind. Large, classical rooms with four poster beds, fireplaces and fine linens. Delicious American cuisine with French and Italian influences. The perfect romantic break. 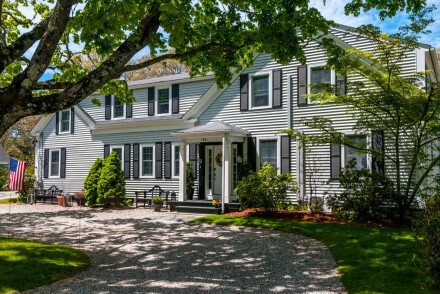 This homely yet elegant B&B sits right at the 'elbow' of Cape Cod- with private beach and dock spilling into beautiful Pleasant Bay. The decor is unique and ultimately very chic, the nine spacious and light rooms are comfortable and command breathtaking views of the bay and flower gardens. Sailing - Cape Sail,Dog Gone Sailing Charters, Arey’s Pond and Chatham Yacht Club offer everything from private lessons to charter. Fishing - There are several fishing boats in Rock Harbor, check out Amber Lee, Empress, Luau or Roxy. 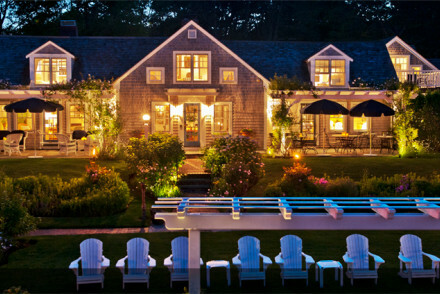 A picturesque B&B overlooking the Vineyard Haven Harbor, on Martha’s Vineyard. Charming rooms sport comfy beds, neutral tones and balconies with spectacular views of the bay and gardens. Sit out on the wrap around porch and enjoy the views! A quaint and homely hideaway. Great walks - Mytoi in Chappaquiddick, an enchanting 14-acre Japanese garden with walkways, drooping Cherry trees and wooden bridges. Sailing - Enjoy state-of-the-art sailing aboard the 60ft. catamaran, with Mad Max Sailing Adventures. Birdwatching - Cape Poge Lighthouse, a migratory stop for over a hundred species of birds. Active Holiday - Activites on offer include golf, horse riding, biking, fishing, hot-air ballooning and skiing.